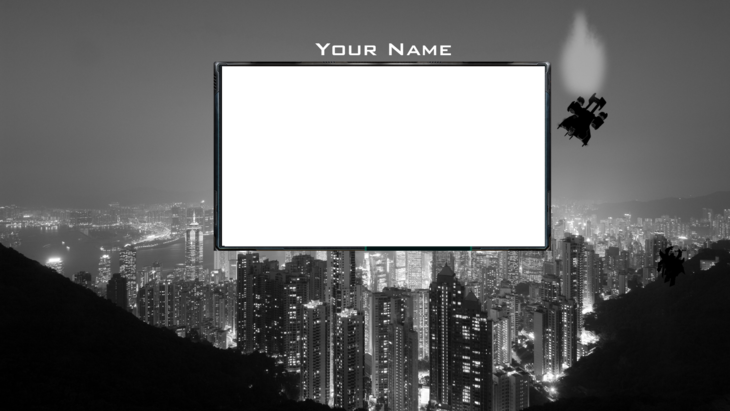 So recently working with some streamers about overlays / twitch.tv profile backgrounds i wanted a sort of dark themed overlay, i made one of a high templar feedbacking a medivac, a infestor neutral parasiting a colossus and a ghost sniping a banshee, all for their respective races with a city view themed background. 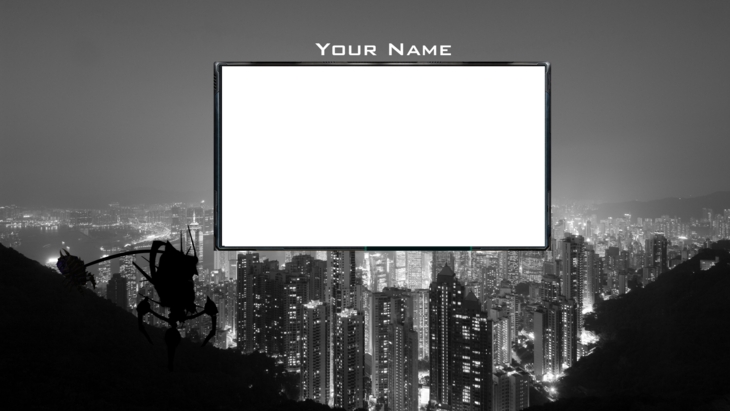 To change the "Your name" to your own name you need to change it on photoshop and i will provide the .psd files here. If you like my work you can check out my new deviant art account that i opened up recently from losing my last one. Also if i havent gotten back to you about the overlays in the past offer im sorry, please PM me again on TL since i have been caught up with school work and other things. Am I missing something? Ghost sniping a Banshee = Protoss? Edit: Oh, didn't notice the High Templar in the last one, I'm assuming you switched the two around. Hi dude, would love if you could make a stream overlay for me for free Couldn't find you at skype tho.